As you think about ways to upgrade your room, don’t forget about the window treatments. The right blinds have the power to add character and style to the home, while also providing the privacy and shade you need. At Macadam Floor and Design in Portland, we offer a wide range of window coverings from industry-leading brands for you to choose from. To find the perfect ones for your room, stop by our Design Center today. How do you want your window coverings to look in a room? Do you want them to stand out with a bold print, or blend in seamlessly with the rest of the décor? Then, consider how much natural light you want to let into the room and how often you plan on opening and closing the blinds. Are you interested in energy-efficient window coverings? What about powered blinds that open with the touch of a button? Whatever you’re looking for, Macadam Floor and Design offers the following types of window coverings to meet your needs. Shutters – Invite nature into your home with shutters, which are both easy to open and aesthetically pleasing. Wood Blinds – Elegant and durable, wood blinds are perfect for rooms of virtually any style. 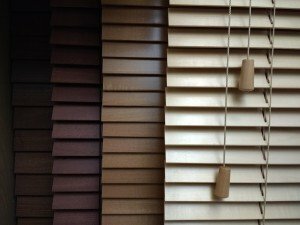 Stick to a traditional wood stain or opt for faux wood blinds that can stand up to Portland’s wet climate. Cellular Shades – Versatile and modern, cellular shades help conserve energy and only let in as much light as you want them to. Roller Shades – Whether your home is classic or contemporary, Roman shades can tie the whole space together. Woven Woods –Add natural accents to your home or office with woven wood window coverings. They boast beautiful textures and colors while giving you easy control over privacy and light. 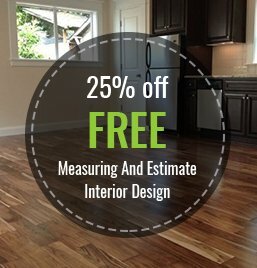 Connect with our Window Coverings interior designer to schedule your free in-home window measuring and estimate today. Whatever you have in mind for your dream home, our designers are sure to help you find it. Call 503/248-5800 or connect with us online.